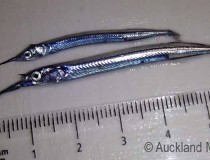 Last week we brought you some of the video highlights from our Kermadec expedition – this week we thought we’d give you a small glimpse into some of the scientific discoveries and interesting finds made by the team. A taster of things to come for the Three Kings. 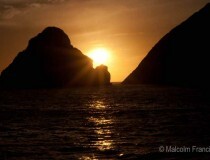 Given the Kermadec Islands are within a protected marine reserve and that they’re one of the most untouched marine environments in the world there were high hopes among the scientists heading off on our 2011 expedition that they would make some new discoveries – and they weren’t disappointed. 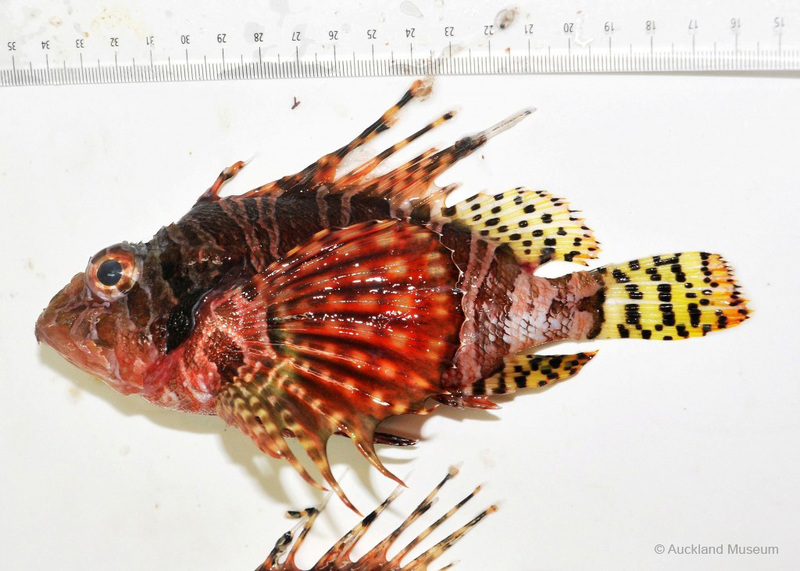 One of the discoveries was this zebra lionfish (pictured above). 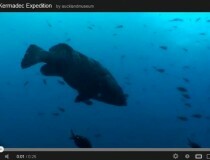 The expedition to the Kermadecs was the first time this fish had been recorded in those waters but it was also a brand new record for the whole country. 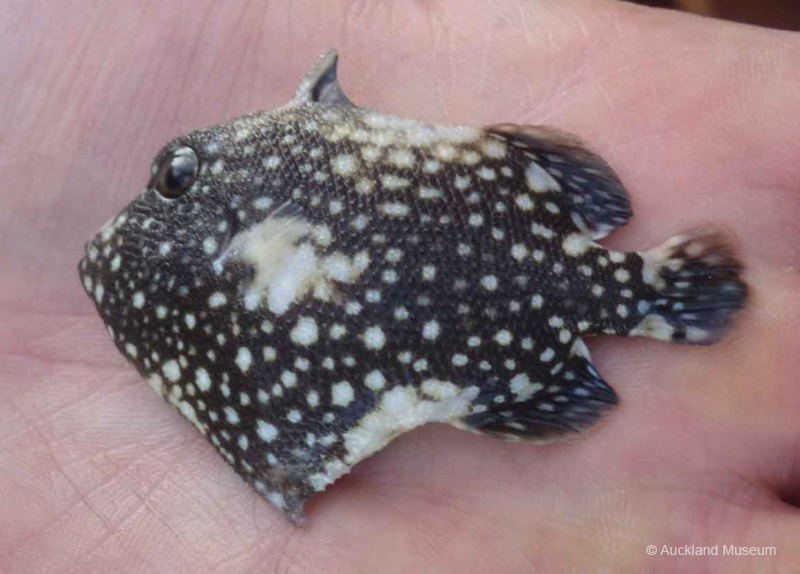 This juvenile trigger fish was another fascinating find – a new record for New Zealand, the discovery was made all the more interesting because of how the fish was found by the team. 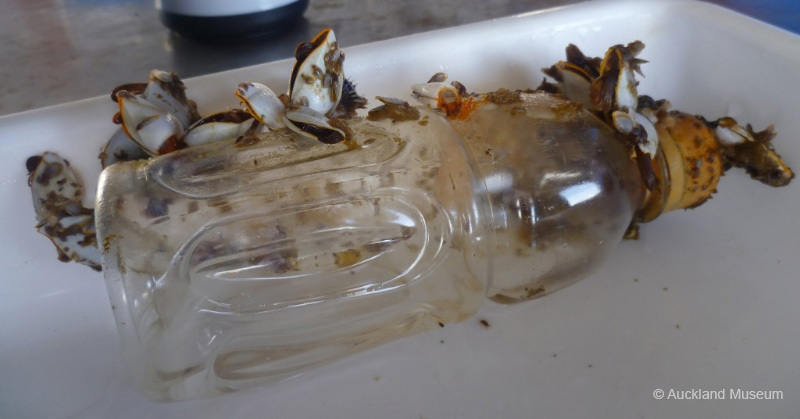 Spotting some rubbish floating in the water the team decided to retrieve it rather than leaving it to pollute the marine environment and underneath the bottle they found this trigger fish. 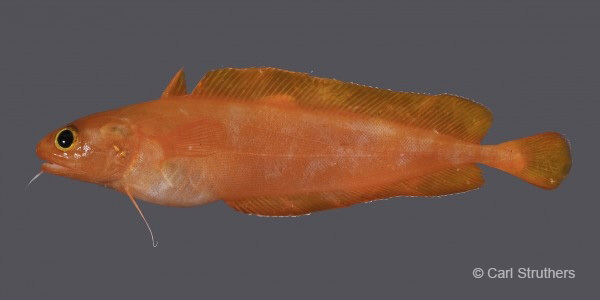 One of the most exciting finds was a bright orange Lotella cod – although the cod measures a modest 10cm long it was thrilling for the scientists on the expedition because they were fairly confident from the first sighting that it was an entirely new record not just for New Zealand but for the world. 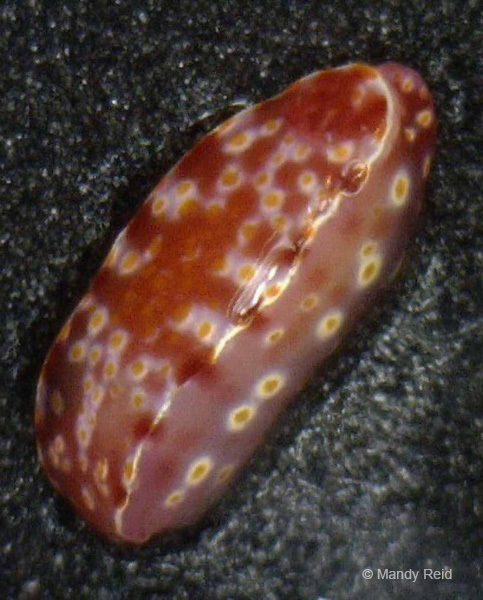 Some discoveries from the trip weren’t about new records but instead about the opportunity to observe marine life in such a uniquely undisturbed marine environment. 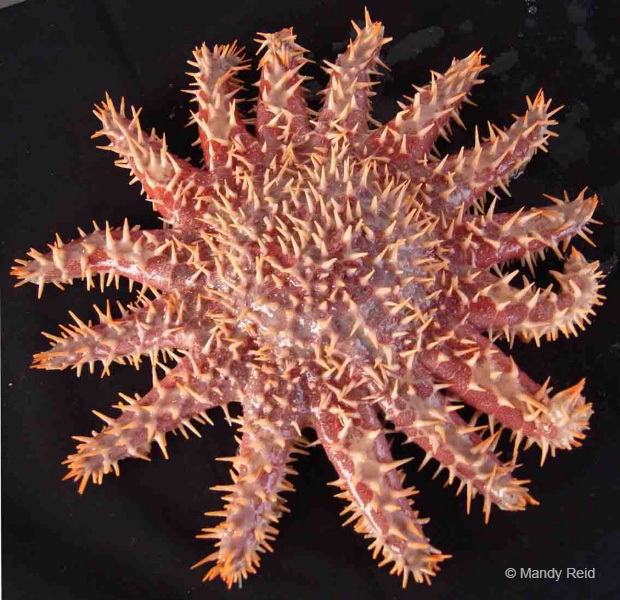 For instance these crown of thorns starfish are notorious for causing damage on tropical coral reefs but in the Kermadecs the scientists observed them be happily living alongside other marine life. 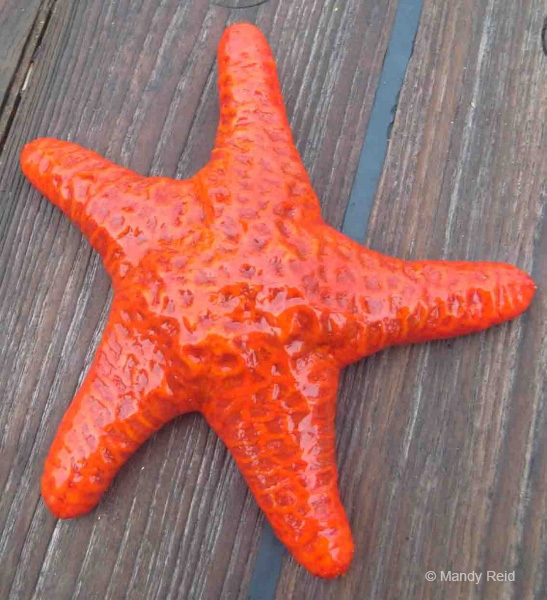 Other finds didn’t qualify as major records for the scientists but the revelations happened at this end of the blog, where visitors to the site were stunned by the sheer beauty of nature’s clever designs – like this luscious orange sea star. 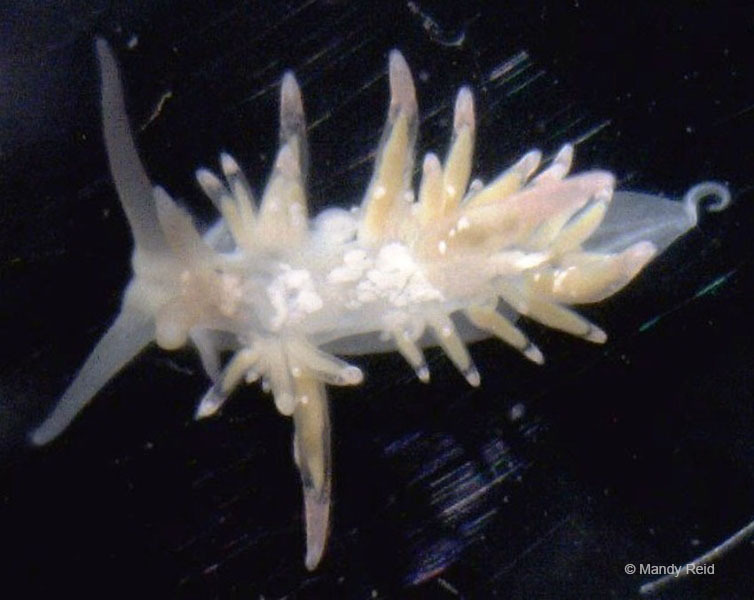 Yet more of the discoveries are still being unraveled – like these tiny nudibranchs (a mere 5mm – imagine spotting that underwater) that will likely be identified as new records for New Zealand if not for science. But science is an exacting master and the scientists have to dot all the i’s and cross the t’s before any of these discoveries become official and go into the annals of history forever. 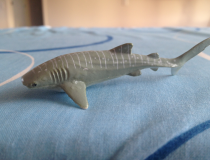 Perhaps because of the long, slow months and even years of painstaking research and scientific process that must follow these expeditions, the excitement among the scientists on the boat was palpable through every blogs that was sent back from the Kermadecs. At the end of their three weeks in the Kermadecs and despite an incredible work rate that saw the team working 14 hour days without a break, expedition leader Dr Tom Trnski described the experience as completely exhilarating. On his return Tom began plotting where to next … and next week’s expedition to the Three Kings Islands is the answer. Each member of this expedition has their own hopes and research goals for the trip – you can learn more from their bios - but we’d love to hear if you have any ideas about what we should look out for in the waters around the Three Kings Islands or any of your own dive discoveries. Great images from the trip. Keep up the good work!